Black and white TV and rabbit ears!! Those were the days of great comedy , westerns and other shows , all suitable for family viewing. None of the shows had any vulgarity so all the family could spread the rabbit ears as far as they would go and watch our favourites on TV. I loved Don Knotts on the Andy Griffin show and Art Carney on the Jackie Gleason Show. You always felt like you just saw, besides a very funny comic, a very nice man. We saw Batman and Robin and we watched the Lone Ranger and Tonto, Perry Mason and, of course, our singing cowboys like Gene Autry and Roy Rogers. We all loved: I Love Lucy, Leave it to Beaver, Father Knows Best, Cisco Kid, Amos and Andy, the Real McCoy’s, and the Colgate Comedy Hour, to name only a few. “Hee Haw” episode on YouTube. So Funny!!! Yes, those were the days!! 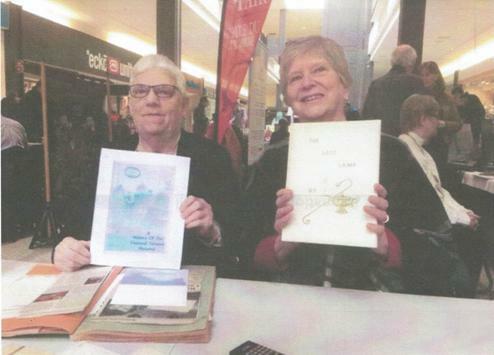 The Annual Heritage Fair at the Cornwall Square was hosted by Heritage Cornwall recently. I was sorry I hadn’t gone earlier in the day and had given myself more time to spend viewing all of the displays. One of the exhibits of great interest to me was the Glengarry Fencibles Trust which is, as their brochure states, ‘ a not-for-profit charity dedicated to preserving and restoring the Bishop’s House’ in St. Raphael’s, Ontario. 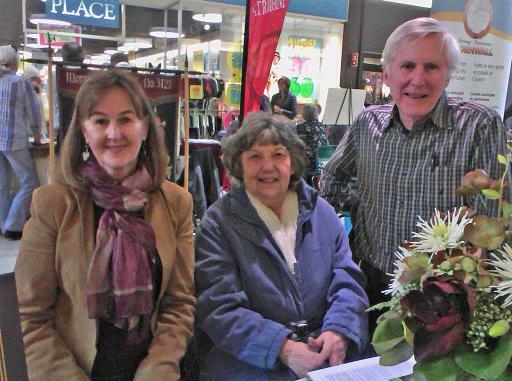 I was able to meet Brenda Baxter and Allan MacDonell who are part of the volunteer committee. The Glengarry Fencibles have done an amazing job of raising funds to not only save the historic Bishop’s House , which was doomed to be demolished, but also to renovate and restore it. Brenda and Allan showed me some of the work that had been done so far and it is amazing and beautiful. The Bishop’s House was once the residence of Bishop Alexander Macdonell ( 1762-1840). The central part of the house was built in 1808 with matching wings added in 1924. It once housed Iona Academy and later Mount Carmel Treatment Center where I had the privilege of working for many years. There are some important events coming soon such as a Gala Diner on April 13, 2019 at the Tartan Hall, Williamstown. Cocktails at 5:50 and Dinner at 6:30. Cost is $85. Also an AGM April 17 at 7pm in St. Raphael’s Hall. 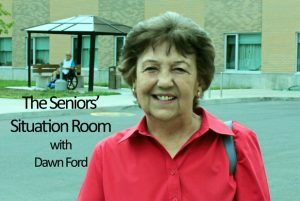 Refreshments will be served and everyone is welcome. There also will be a Drystone Course given June 1-2nd for students learning heritage skills. Cost is $200. Visitors free. For more information on the Glengarry Fencibles Trust or to send a donation to help with the renovation expenses, go to their web site at www.bishopshouse.ca Mailing address is : 4739 Frog hollow Rd., Green Valley, ON, KOC 1L0. Photo of Brenda Baxter, President , myself, and Allan Macdonell. Also at the Heritage Fair was a display of the Alumni of the School Of Nursing of the former Cornwall General Hospital’s ‘Down Memory Lane Project’. Catherine Poirier, President of the Nurses Alumni, Shirley Heagle and Carol Matheson were Alumni members at the exhibit. School of Nursing which closed that year. Co-owners of the Care Centre ( former CGH), Matt Cinnamon and Dan Orr have designated a special corridor in the centre to display the CGH’s memorabilia of the hospital and the hospital’s School of Nursing. 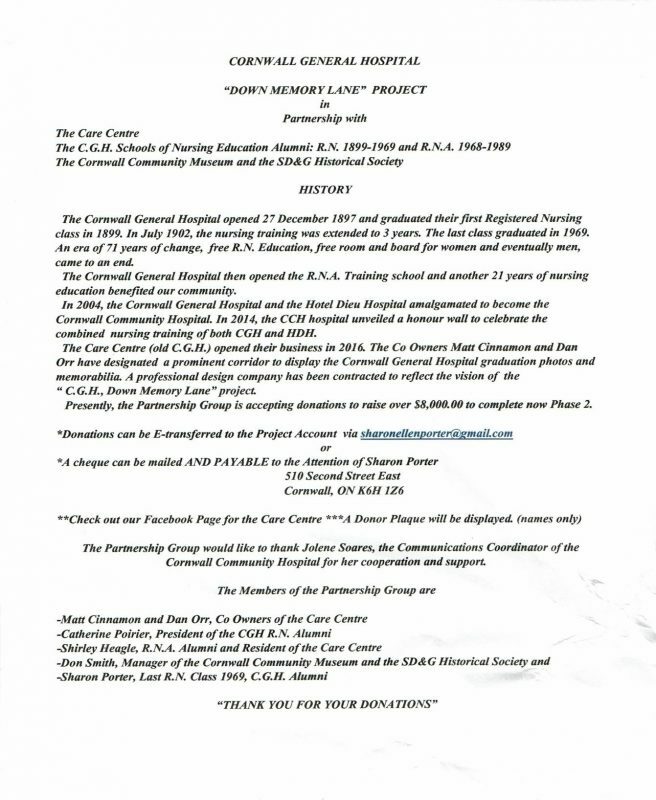 This project is in partnership with The Care Centre, The Cornwall Community Museum and the SD&G Historical Society as well as the CGH Schools of Nursing Education Alumni: R.N. 1899-1969 and R.N.A. 1968-1989. This project is in the midst of Phase 2 of 2. They are accepting donations to raise $8000 + to complete Phase 2. Second St. E., Cornwall, K6H 1Z6. Houses had thatched roofs with thick straw – piled high and no wood underneath. It was the only place for animals to get warm, so all the cats and other small animals ( mice, bugs) lived in the roof. When it rained, it became slippery and sometimes the animals would slip and fall off the roof. Hence the saying, ‘It’s raining cats and dogs.’ There was nothing to stop things from falling into the house. This posed a real problem in the bedroom where bugs and other dropping could mess up your nice clean bed. That is how canopy beds came into existence. others your own age and thinking, surely I can’t look that old? A lady was sitting in the waiting room for her first appointment with a new dentist. She noticed his Dental Diploma which bore his full name. Suddenly she remembered a tall, handsome, dark haired boy with that same name who had been in her secondary school class some 30-odd years earlier. Could it be the same guy that she had had a secret crush on, way back then?? Upon seeing him, however she quickly discarded such a thought. deeply lined face was far too old to have been her classmate.